The Department of Homeland Security (HSI) and the U.S. Immigration and Customs Enforcement (ICE) have increased their efforts to detect and penalize immigration law violations at American workplaces by approximately 400%. More than 10,000 U.S. businesses are currently going through a so-called Notice of Inspection (NOI) or a compliance inspection—without a proper understanding how underestimated audits can lead to significant civil fines or even criminal prosecution of owners, management, and HR personnel. Oberheiden, P.C. is a team of former DOJ officials, former federal prosecutors, and experienced federal lawyers that represent individuals or businesses under audit or investigation by federal agencies like the Department of Homeland Security, ICE, the FBI, and the IRS. Unlike a regular employment attorney, we combine federal law knowledge with the frontline insight experience of former high-level prosecutors. We have proven in hundreds of federal civil and criminal investigations how to avoid liability and how to avoid criminal charges against our valued clients. Don’t underestimate ICE audits. Don’t hesitate. Protect your business and get the advice of experienced lawyers that actually know federal law. Call Oberheiden, P.C. today for a free and absolutely 100% confidential consultation, including on weekends. No junior lawyer or secretary will handle your case. Who Investigates Illegal Employment Matters? Even though state law controls the legal relationship between employer and employee, federal law trumps state law as to the employment status of foreign workers. See Arizona v. United States, 567 U.S. 387 (2012). Under 8 U.S.C. § 1324a, “[i]t is unlawful for a person or other entity . . . to hire, or to recruit or refer for a fee, for employment in the United States an alien knowing the alien is an unauthorized alien with respect to such employment,” or to continue to employ the alien in the United States knowing that person is or has become an unauthorized alien with respect to such employment. The U.S. Immigration and Customs Enforcement (ICE) is a federal law enforcement agency with regional field offices in Washington D.C., Atlanta, Baltimore, Boston, Buffalo, Chicago, Dallas, Denver, Detroit, El Paso, Honolulu, Houston, Los Angeles, Miami, New Orleans, New York, Newark, Philadelphia, Phoenix, San Antonio, San Diego, San Francisco, San Juan, Seattle, Tampa, and Tucson. ICE consists of three sections including Homeland Security Investigations (HSI), Enforcement and Removal Operations (ERO), and Management and Administration (M&A). ICE/HSI has broad jurisdiction to investigate and enforce a variety of federal crimes including but not limited to human trafficking, cybercrimes, document and benefit fraud, and immigration law violations. What Are Signs that My Company Is Under Investigation? There are two types of investigations, those that are overt and obvious and visible and those that are not public and classified. In general, most company owners will learn about an investigation by receiving an audit or subpoena request or a visit from ICE investigators conducting an inspection at the workplace premises. These types of signs are welcoming because they allow qualified federal defense counsel to initiate protective measure to resolve the investigation. More problematic are those where federal agents secretly conduct interviews of former employees, initiate surveillance measures, or prepare a federal search and seizure warrant. In these types of cases, the government is likely preparing for federal charges and only lawyers experienced with the federal criminal justice process will be able to effectively intervene on behalf of their clients. How Do I Know If an Investigation Is Civil or Criminal? Historically, most investigations are civil in nature. However, the current administration’s focus to combat immigration violations lead us to believe that criminal charges against corporations and individuals for employment violations connected with undocumented workers will become more common. Civil. The decision as to whether to pursue a civil or a criminal investigation lies within the discretion of ICE. In civil cases, ICE has wide latitude in determining appropriate punishment, which will only be overturned by a court if that decision is “arbitrary, capricious, an abuse of discretion or otherwise not in accordance with law, or if it was taken without observance of procedure.” DLS Precision Fab LLC v. United States Immigration & Customs Enforcement, 867 F.3d 1079, 1084 (9th Cir. 2017). Criminal. By contrast, signs of a criminal investigations are the involvement of special agents, grand jury subpoenas, search warrants, arrests, and indictments. The key in a federal criminal investigation is for experienced federal criminal defense attorneys to advise clients as early as possible to intervene into and stop the investigation—and not to wait for charges to be filed. Call Oberheiden, P.C. now and find out whether your case is civil or criminal and what can be done to end the investigation altogether. What Are the Civil Penalties for Employing Illegal Workers? Fines for violating federal employment laws with respect to employing illegal aliens are adjusted each year; currently they range from $ 250 to $ 10,000 per illegal employee hired, depending on how many times the employer has been found to have hired such employees in the past. If the violation is only one of paperwork, the fine will be between $ 100 and $ 1,000 for each individual whose paperwork is not in compliance. Pursuant to 8 U.S.C. § 1324a (5), the Department of Homeland Security or assigned judges consider the size of the employer, the seriousness of the violation, whether or not the individual was an unauthorized alien, any violation history, and, most importantly, the good faith of the employer in attempting to comply with the law. What Are the Criminal Penalties for Employing Illegal Workers? Under 8 U.S.C. §1324(3)(A), fines under this section may be up to $250,000 for an individual or $500,000 for the company. This criminal statute requires actual knowledge that the employees were not properly authorized to work in the United States. See Martinez v. Creative Concepts, Inc., 2012 U.S. Dist. LEXIS 139044, No. (D. Nev. Sept. 27, 2012) at *11 2:12-CV-277 (affirming that actual knowledge is required for criminal sanctions to apply). If convicted, an employer faces up to five years in federal prison. What Would the Government Need to Prove to Bring Federal Criminal Charges? When Is a Business Owner Personally Liable for Employing Illegal Workers? In cases involving more than ten employees or repeat violations, federal courts have imposed criminal sanctions. 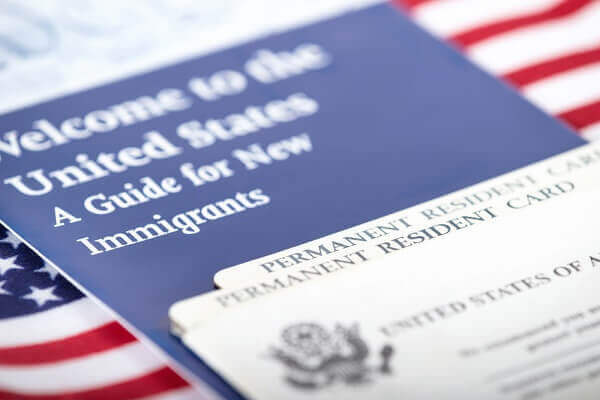 For example, in September 2018, a Chinese restaurant and its owners pled guilty to harboring illegal immigrants for housing and employing approximately 15 such workers at its business. One of the owners had previously paid a fine for similar behavior in 2007. While the individual defendants have not yet been sentenced, the corporation agreed to pay a $200,000 fine, forfeit certain assets, and to be sentenced to two years of probation and to enter into an immigration compliance program. What Is a Federal Criminal Conspiracy? That the defendant knew the unlawful purpose of the agreement and joined in it willfully, that is, with the intent to further the unlawful purpose. One or more persons must agree to commit a crime. Although many conspiracies involve an express agreement (e.g., two or more people discuss and expressly agree to rob a bank), it is sufficient for the government to prove what is called an indirect or implicit agreement. Under such an agreement, it is clear from the circumstances that all participants were planning to, or, in fact did, execute a crime, even though they may not have stated so explicitly. An important question that often arises is whether the government must prove that the members of the conspiracy intended the execution of the target crime or whether the government must only prove the intent to enter a conspiracy. The federal conspiracy statute only requires the prosecutor to establish intent to engage in forbidden conduct without requiring evidence that the defendant was aware of the circumstance element. A conspiracy must merely contain “a corrupt motive or motive to do wrong” (regardless of the details of the underlying crime). See, e.g., United States v. Feola, 420 U.S. 671 (1975) (conviction of all defendants for assault on a federal officer and of conspiring to assault a federal agent even when the co-conspirators were unaware that the drug purchaser was a federal agent). What Are Recognized Defenses Against Criminal Liability for Employing Illegal Workers? Under 8 U.S.C. § 1324a, if the employer has complied in good faith with the requirements of the employment verification system, such compliance serves as affirmative defense that the employer has not violated this federal law. This system is one through which the person or entity attests under penalty of perjury that they have examined certain documents which at least appear to be genuine, such as a passport or a driver’s license and social security card, prior to employing the individual. 8 U.S.C. § 1324a (3), (b). Such verification is typically done via an I-9 form. In the absence of e-verification, experienced federal defense attorneys will have to convince the government that their client, the employer, hired in good faith that the employees are lawful citizens. What Should Management Do When They Become Aware of HR Immigration Issues? You should immediately visit with lawyers that know what to do immediately. The sooner competent lawyers get involved and take control, the disproportionately higher your chances to keep your business — and your freedom. Contact us now.